Video is becoming more popular within social spaces and platforms such as YouTube and Vimeo allow anyone to post visual content. With a growing demand for different content types, more businesses are adopting video and utilising its benefits. Using generic text for every social post isn’t acceptable anymore; so making sure you ‘mix up’ your post format is crucial! To help you get going, we have come up with a few reasons why you should start using visual content. Video gives your audience a sharp and direct message, that can help inform consumers of what you have to offer. A concisely made video is easy to watch and it will engage people that don’t want to chore through mundane text. Video receives 1200% more shares than images and text put together, showing that its ROI is far greater than other forms of content. Shares can also help improve your websites rank-ability. When someone shares your video or link back to your web page, it creates an inbound link. Google will authenticate the video as a viable source of information, which in-turn improves ranking factors. This makes video one of the most effective mediums you can use when trying to convey a message. Its instant effects and digital benefits make it an essential part of any marketing strategy. Simple and effective video can be created through mobile devices and straightforward ideas. Take ‘The Coffee Pot’ as an example. This Welsh coffee shop posted a video of Terry’s orange hot chocolate which racked up millions of views. Take a look here. This easy-to-do video increases brand awareness and brand equity. The local coffee shop had people “travelling from Scotland” to try their hot chocolates, highlighting the extent of videos influence. This simplistic idea shows the power of video on social media and more importantly: the easy nature of producing it. Isn’t it expensive to produce? As mentioned above, not all video has to be Oscar worthy. Basic shots of products mixed with a few editing tricks can be made into an interesting watch. Every phone is fully equipped with a usable camera, partner this with a small tripod and you’re ready to go! Remember, most customers won’t be expecting a fully-fledged masterpiece, so don’t worry too much about rough edges. Interesting visuals will also add a new dynamic to your content. Customers are 64% more likely to buy a product online after watching a video about it. This illustrates the benefits of video in commerce and how it can affect customer acquisition rates. Whether you’re looking to increase sales or just upscale your awareness, if you have the resources to enhance your online presence, then you definitely should! Want a slightly more professional video? Why don’t you use stock imagery or footage? Adapting this with editing software can help create a professional looking video. From as little as £30 you can buy the full rights to stock, allowing you to create attractive visuals. Updating your channels with video once every few months will help keep your content fresh and cost-effective. Take a look at this video we did for Cherish Holiday Homes. If you’re looking for a captivating video that requires a more professional eye. We have both the knowledge and experience to help create all types of visual content. Click here to find out more. Should I ditch the blogs? No! Written content is pivotal for SEO and it is still the leading way people consume content online. But you should consider balancing different types of content to keep your audience responsive. Many businesses use text in the form of blogs on their site and social media. This has many benefits but introducing video into your social media game plan will help refresh your feed. Want to know more about SEO? Find out more now. With cost-effective options available and a wide scope of benefits, utilising video has never been more important. Visual media is growing rapidly, and it isn’t showing any signs of slowing down. Around 100 million hours of video are watched every day on Facebook and over 400 hours of video is uploaded to YouTube every minute. 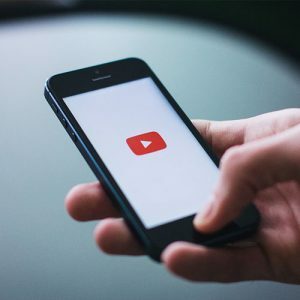 People can’t get enough of videos, so make sure involve it in your 2019 marketing strategy! Let us know how you get on via Twitter or Facebook.